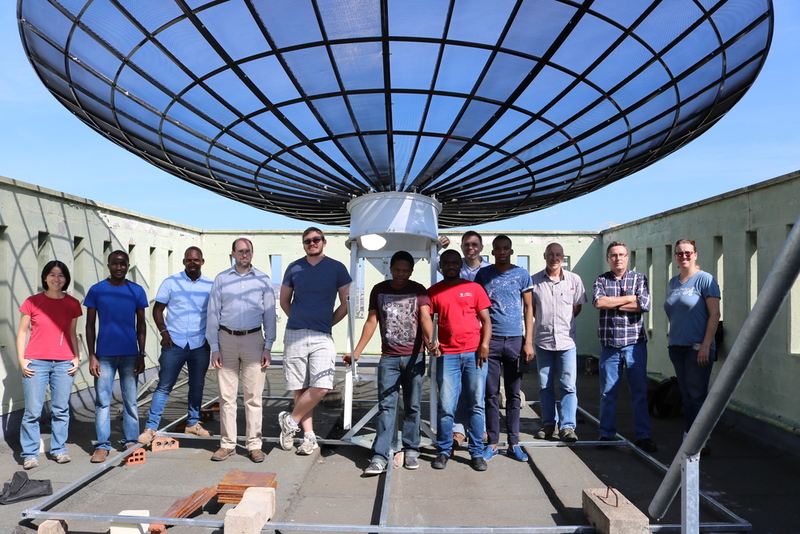 HIRAX will be an interferometer that comprises roughly 1000 six-meter dishes placed in a close-packed, redundant configuration, and the tentative deployment location will the be the SKA site in the Karoo desert, South Africa. The operating frequency of 400-800 MHz corresponds to a redshift range of 0.8 to 2.5. The dishes will be stationary and will have a 5-10 degree field of view, and the dishes will be periodically repointed in elevation in order to build up coverage of the southern sky. HIRAX is highly complementary to the Canadian Hydrogen Intensity Mapping Experiment (CHIME) and will share much of the back-end technology, including FPGA-based ICE boards and the GPU correlator.